The consultation cost and supplements can be charged onto HSA/FSA accounts which is really helpful for patients. Also helpful is the fact that most lab work is covered by insurance for a simple copay. For example, my comprehensive blood screen is only a $25-$100 copay on average and is much more detailed than the typical doctor’s office. The more advanced diagnostics, nutritional/stool analysis, etc. are also covered for a copay upfront which saves a lot of money and gives us access to comprehensive & in-depth testing for fair pricing. For all cash patients, our clinic strives to minimize financial strain by offering labs to patients with minimal mark-up as close as we can to the clinic’s cost itself. 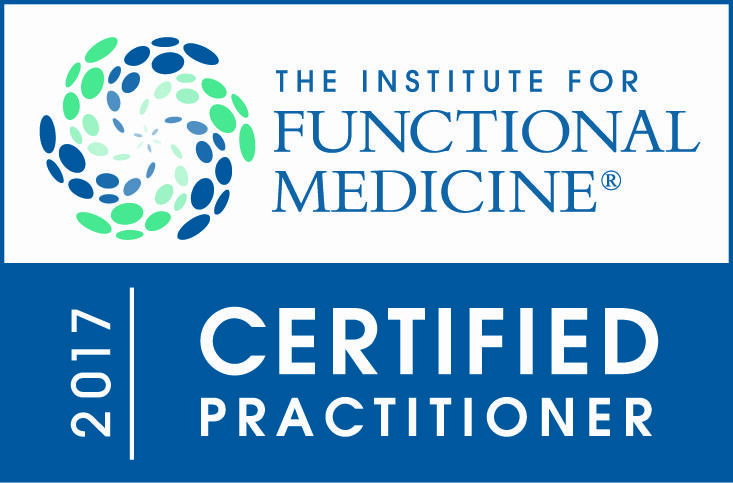 However, the functional medicine consultations & supplements are not covered by normal insurance currently. Let’s hope that one day soon as functional medicine’s efficacy continues to be proven that insurance will pay for these as well. Liberty Healthshare: Join a community of health-conscious Americans who sharing healthcare costs. Liberty HealthShare℠ exists for everyone who purchases healthcare for themselves or their family, or who wants to control their own healthcare. Liberty HealthShare℠ is not insurance. It simply unites like-minded Americans to share medical costs together. Great to have as a backup for emergencies, preventative medical care & to not be charged the penalty for not having insurance. All appointments cancelled with 48 hours notice are not charged any penalty or fee. But because we are not able to fill appointment slots with shorter notice and this would be a loss of income which our clinic relies upon, except in documented emergency situations, you will be charged 100% of the consultation fee for all no shows & cancellations without 48 hours notice. As a courtesy however, 50% of this charge will be put towards your future appointment when you reschedule. Except for special circumstances, once consultations are given, there will not be a refund for the services already rendered. There is no obligation to purchase supplements from our clinic or any of our practitioners. 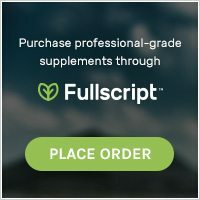 However, when a client does decide to purchase supplements: once a product is purchased and the supplement leaves our clinic or is already sent to someone’s house in the case of online orders, we cannot accept returns for these products. Other than the fact of simply not having the capacity as a small business to process such requests, there is also no guarantee of product quality once it leaves our clinic because we cannot ensure proper storage & temperature requirements were met to ensure efficacy & safety. This is a common clinic policy put in place to protect patients from damaged & ineffective supplements & products. In special circumstances, we may consider a refund but must charge a 25% restocking fee in these cases. Payment for the consultation is due at the time services are rendered; I accept checks, cash, credit card and PayPal. You may purchase herbs and natural products directly from me or they can be shipped directly to you for a fee. Please note you are not obligated to do either and may purchase your supplements wherever you desire. You, the client, have the right to respectful, courteous care. You can refuse to follow any or all recommendations provided as a result of this consultation. You have the right to choose another practitioner for any reason & to request that any of your health information be disclosed to another health care provider. Most herbs & supplements do not push physiology in a way that would cause acute harm to a patient directly. These natural medicines often have a supportive, strengthening & balancing action on numerous body systems and this is how they exert their healing effects. Though there is an exceptional safety record with most natural medicine, there is still the potential for side effects & most dangerously, interactions with drugs that are concurrently taken. Mostly, it is not that the herbs/supplements cause toxicity themselves, but instead, they can change the absorption, metabolism or excretion (pharmacokinetics) of a drug leading to either 1.) Less effective pharmacotherapy treatment or 2.) Toxicity of that particular drug. Though this is uncommon, it is certainly a possibility that all patients should be aware of & monitor themselves for. Any suggestion that the effect of a drug is being altered by simultaneous use of an herb should be reported directly to all health professionals involved. It is also advisable to stop taking herbs at least 72 hours before surgical operation, and/or in the event of being prescribed anticoagulants, antiepileptic drugs, and digoxin. 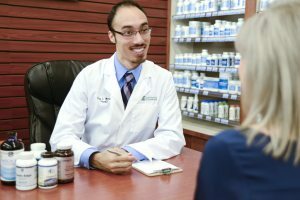 Reduce the possibility of herb-drug interactions by informing all healthcare professionals involved in your care of the herbs, supplements, and medications you are taking. Herbs & other natural supplements should also not be used in pregnancy or lactation without expert advice, and if you are to become pregnant, you should stop taking these supplements until advice is received just to be safe.